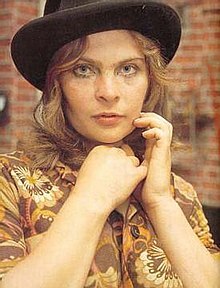 Bodil Joensen or Bodil Jørgensen(pronounced "Yu'En-sen") (25 September 1944 - 3 January 1985) was a Danish actress born in the village Hundige, near Copenhagen. Things went completely out of hand when 'Spot' died. I started taking sedatives. But when someone referred to them as 'loony-smarties' I threw them in the fireplace. Instead I started drinking and eating excessively. I gained 30 kilos. Doesn't look well on something that was going downhill anyway. 'Spot' was a real German shepherd that I got from an animals hospital 10 years ago. She had been beaten. She never became anything but a little, weak dog. I've never been able to talk to other girls. I've always been with men. 'Spot' was my female friend. She understood what I said. Was happy when I was happy. Was sad when I was. When we were alone in the house without light and heat we went to bed together. Shared a biscuit. And then we talked, until we fell asleep. 'Spot' is the only living creature that has loved me for being just me. She didn't expect to get anything back. She soothed me when I was ill. I've experienced a lot with 'Lassie', and like him a lot. But it'll never be the same as with 'Spot'. Lassie has been unfaithful to me. He's an every-girls-dog. 'Spot' was mine. Completely mine. That's why I had such a shock when she died. And started drinking, and eating myself fat in no time. I live with my man for 10 years and my eight-year-old daughter. Still I feel like the loneliest human being now that 'Spot' is dead. In those days I earned easy money in a tough line of work. I fell and fell. 'When will I reach the bottom?' I often ask myself these days. W3C is delighted to be the recipient of a Technology & Engineering Emmy® Award from the National Academy of Television Arts & Sciences. We are being recognized for worldwide media standard enabling a Full TV Experience on the Web. Among the web technologies that the Web Consortium develops, HTML5 has brought videos to the Web, ending the era of plug-ins for media playback. A few W3C technologies are at the core of all web media applications today. They have turned the Web into an unprecedented media platform that mixes professional and user-generated content, available anywhere, anytime, on any device, at any resolution, and to anyone. This prestigious Industry award recognizes and celebrates the long course of our work: our first W3C workshop on Web and TV was in 1998. That particular aspect of Entertainment on the Web was the subject of six W3C workshops in the past 20 years. Look how far video has spread on the web since then! We are bringing W3C’s expertise and commitment to accessibility to help make video and TV on the Web accessible. The future is as exciting as the past. With the Immersive Web coming down the road, our work is not done. Representatives from W3C staff attended the awards ceremony at the NAB Show on Sunday, April 7th, 2019 in Las Vegas, NV. 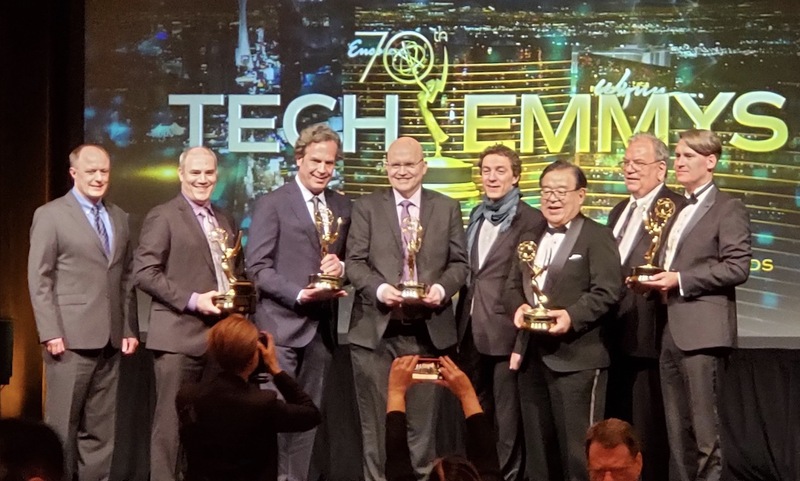 “We are especially excited to be honoring these prestigious companies and presenting our gala again at the NAB Show where the intersection of innovation, technology and excitement in the future of television can be found,” said NATAS President & CEO Adam Sharp. This marks the second Technology & Engineering Emmy® Award that W3C has received. In 2016, W3C was awarded a Technology & Engineering Emmy® Award for its work on Accessible Video Captioning and Subtitles. W3C is grateful that the Emmy committee has honored us again. We take pride that millions of web users continue to enjoy a safer, more secure experience viewing video streaming on the web. We are grateful for our community, and all those who work to build standards and technologies for the web, laying out the foundation for future innovations on the Open Web Platform. This is part of an occasional series about Internet. "I think that may have been one of the first tweets that caught on—" Q told me, "All I can remember is that I was on Twitter, and perhaps too deep into me... I think @mrjyn may have the actual first mention going back to 2009." Oh, you are making my website fail. Q directed me to this , "I love how happy art can help people change." I am by my indecent decency, a man both timid and seductive, provocative poet and at the head of cabbage, artist at heart, able to mingle with trends; the fairer the air, so age influenced funk, pop, rock, reggae, initiation, everything. What Gets Me Hot. He was previously senior editor and staff writer at TPA.